It is recommended practice to have an annual gas boiler service to ensure your boiler remains safe, efficient and well maintained. We are based in Hertfordshire, so can easily attend properties in Nazeing. Carry out a gas tightness test which will reveal if you have any gas leaks which could constitute a danger to life or property. Test the safety devices on the boiler appliance. 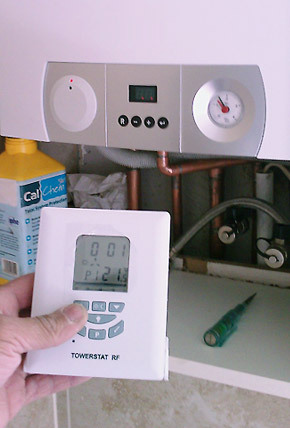 Ensure that your boiler appliance is working at the correct pressures and to its maximum efficiency. Check there is no carbon monoxide risk to you or your family. Finally, give your appliances a thorough clean which will ensure they remain in tip top condition. We test all boilers with the latest gas analysis equipment and will leave you with the peace of mind that your boiler will be safe for another year. Call us on 07775 66 77 99 (mobile) or 01992 800 599 (landline) or email us at info@lfheatingandplumbing.com and we can arrange an appointment in Nazeing (EN9) to suit you.